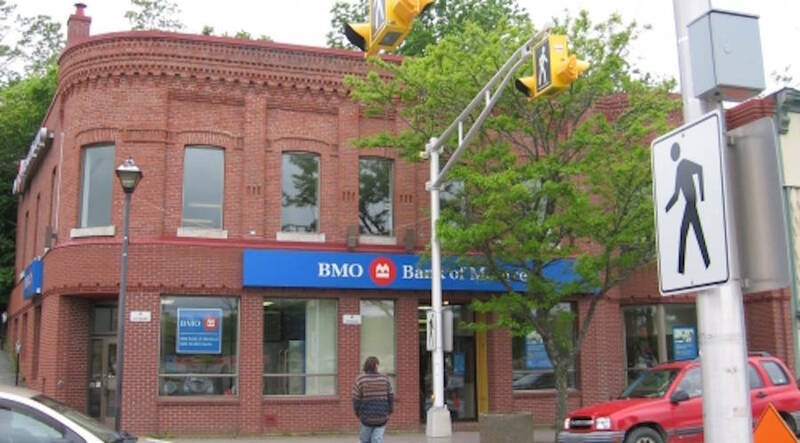 A group of investors from Halifax are buying the former BMO Bank of Montreal building on Bridgewater&apos;s King Street and have also bought a multi-unit apartment complex on Pleasant Street with plans to develop residential housing for working professionals in the area. Three partners behind the new company Black Seal Properties of Halifax - Adam Barrett, Jody Comeau and Colin Hicks - recently purchased the 25-unit multi-residential building at 32 Pleasant Street, and are waiting to close the deal on the BMO building, Barrett told LighthouseNOW in an telephone interview from Halifax. "And we&apos;ve got a few others that we&apos;re in discussions. We&apos;re talking to some land owners along King Street and elsewhere kind of in the downtown core," said Barrett. He said with 32 Pleasant Street the plan is to keep it multi-residential. Construction is expected to start in early April, and initially will be "just the necessary improvements that&apos;s needed since the building&apos;s 40 or 50 years old and is quite tired." The developers plan to market the building to working professionals as it contains a number of one-bedroom apartments. Because the building lacks an elevator, it likely won&apos;t appeal to seniors, or people with mobility challenges. "There&apos;s not a lot of newer, nice apartments in downtown Bridgewater, we&apos;ve come to realize, so we&apos;re looking to do something a little bit different." Most of the building is occupied now. The overall plan is to carry out "a complete overhaul" of the building&apos;s exterior, including roof, siding, the overall appearance, and all the common areas. "And then as the units turn over, we&apos;re going to re-do apartment by apartment." Barrett and his partners purchased the property for "just shy of $1.2 million" and expect to invest a further $750,000 in upgrades. They hope to lease out some of the unoccupied units by September 1. "It just depends on working with existing tenancies and that sort of thing. We want to work with the tenants and the residents, so we don&apos;t want to kind of displace anyone." Barrett also emphasized the developers will use local labour as much as possible. The group wants to begin developing multi-unit residential and commercial construction in the BMO building within the next 12 months or so. "We take ownership very shortly, but it&apos;s a done, firm deal now," said Barrett. "We&apos;re looking to do three or four stories on top of the existing building, with ground floor commercial." He declined to say how much the investors paid for the BMO building; the sale hadn&apos;t closed when LighthouseNOW spoke to him on March 22. However Barrett suggested that, with the acquisition and development costs, "it&apos;s going to be more than a $2 million development." Along with the commercial development on the ground floor, they want to construct 12 to 18 residential units. Those units would target young workers and professionals, singles and retirees. They plan to retain the existing structure&apos;s heritage and build upwards with something more modern, and may include an elevator. The developers have already talked to local business owners in town, who may want to move and open up a second location for a coffee shop, small restaurant, a bistro or something similar. "King Street is very exciting and the nice thing about Bridgewater is its town hall is very pro-development and pro-change and pro working with business owners and residents." He said the group has been working closely with the mayor of Bridgewater, David Mitchell; the deputy mayor Andrew Tanner; and the Town of Bridgewater&apos;s development officer, Nick Brown. Barrett doesn&apos;t own other buildings in Bridgewater, but has a couple of waterfront homes in Chester. "Myself, I&apos;m a developer in the city. Both Jody and Colin are in the banking business." A self-employed real estate developer, Barrett says he owns "quite a bit of real estate" on the Halifax peninsula, including historic buildings. His company is developing the St. Patrick&apos;s Rectory on Brunswick Street, redeveloping "four or five properties along Gottingen Street, and "a fair amount in Fairview and Dartmouth as well." Barrett sees good things happening in Bridgewater. He points to the new brew pub, King Street Brewing, which Saltbox Brewing of Mahone Bay is developing, and of which Tanner is a partner. "It&apos;s going to bring in new excitement. The concerts that they have on Thursday nights on King Street. It&apos;s exciting and change is going to happen," said Barrett. "I see it elsewhere in smaller communities. Truro has gone through a revitalization where some of these older buildings have been purchased and converted into lofts or apartments. "It&apos;s bound to happen. Someone starts and hopefully there&apos;s a flurry of activity as well," said Barrett.